Home / Ellen De Generes show / Michael Bolton / Music / Roland Abante / Television / To Love Somebody / Video / Will Roland Abante Make It on Ellen? Will Roland Abante Make It on Ellen? Just who is Roland Abante? 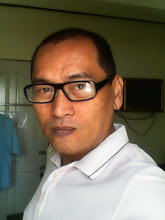 Well, he is the latest Filipino viral sensation to hit YouTube and at present his video singing ala Michael Bolton with “To Love Somebody” has already garnered more than 800,000 thousand views. And according to grapevine, someone has already sent feelers to Ellen De Generes, host of popular U.S. TV show Ellen to be invited as guest performer. It will not be the first time that a Filipino landed a slot on this show. Charice did it and the General Santos City boys James Bucong and Aldrich Talindong sang “Dance with My Father" a year ago. From these two performers alone, one can tell that Ellen has a special fondness for Filipino performers. Abante's performance is quite unique for people who saw his videos. It was not a performance made for the stage but just the same, he sang as if he was dressed in a tuxedo and his stage was the Madison Square Garden. Even while sitting down, Roland seems to have the characteristics of a total performer. First, Ellen will definitely need to invest in this guy in terms of polishing his act. Previous performers were a little bit polished when it comes to projection and performance. This guy is purely a videoke act and there are thousands of similar struggling singers like him that you can find in YouTube and definitely better than him. Comparing him with Michael Bolton makes him a novelty act and somehow Ellen show is not fond of mimic artists. All viral sensations who appeared in her show were unique, gifted, and talented. These performers did not have to ape their favorite singers but just performed a song the way it should be; based on their charm and talent. Mr. Abante did not even sound like Michael Bolton and his diction needs to be improved. Thus, American viewers will not understand him like the way Filipinos understand singers like him. Yes, it is only Filipinos who go wild with karaoke singers. 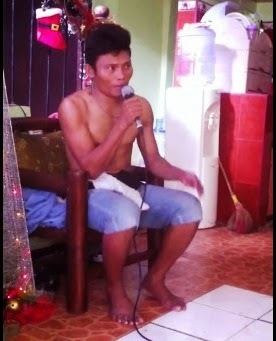 He may have talent but he lacks charm the way Bucong and Talindong won Ellen’s audience. He can sing but not the way Charice did when she had the audience at the palm of her hand. He can gain attention but not for more than a minute. You’ve heard and seen it before; thus, he won’t make it.